WIN A DRONE – ENTER OUR RAFFLE TO WIN!! Ever suffered from heat stroke? 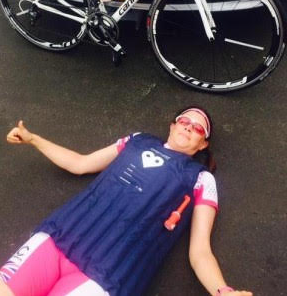 Conditions like this are caused by intense activity in the heat and are one of the top three killers during training for athletes and soldiers. In the following video, Douglas J. Casa explains heat stroke’s tremendous effects on the human body, detailing a stage-by-stage process in case it ever happens to someone in your presence. HESE is offering this vital equipment to rent, for event organisers, charities or businesses who will benefit from core body cooling aid being immediately available. We are working closely with professionals to ensure the CAERvest is more readily available for commercial renting, as we understand the reassurance it brings to our clients. 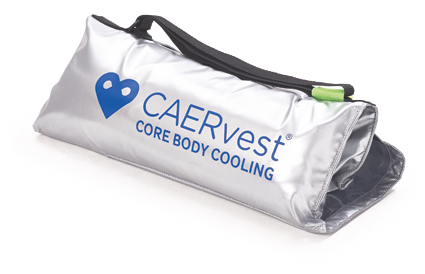 The first use of CAERvest® to combat exertion heat stress was a remarkable success enabling a participant to reach hospital with a normal core temperature and return home that evening. CAERvest® was used to treat several patients suffering from heatstroke at the London Marathon with impressive results. Professor Sanjay Sharma, Race Medical Director, tweeted after the event “@CAERvest Amazing therapy for serious heatstroke at the @LondonMarathon today. 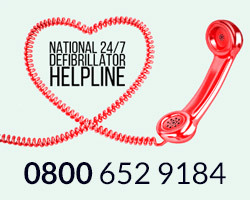 #savinglives”. 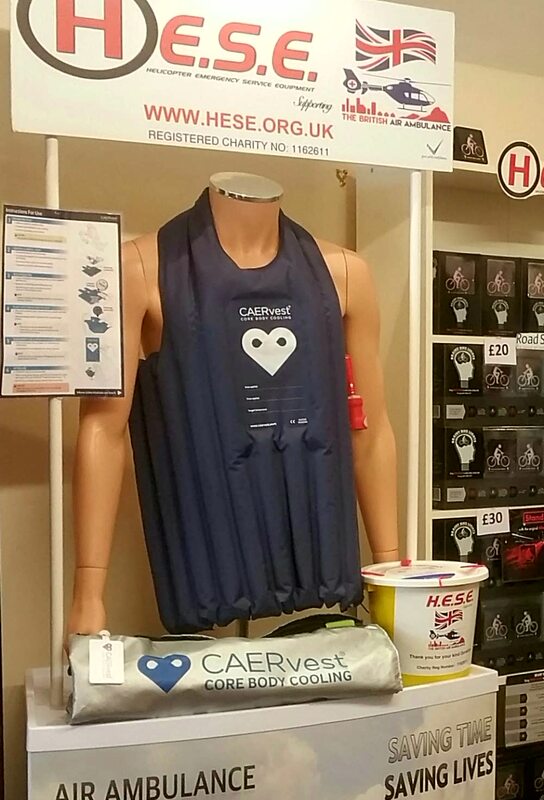 HESE is aiming to provide a CAERvest and Defibrillator in many supermarkets/malls/stadiums across the country, as research shows that to get the best use out the equipment is to locate it in places of mass public communal, or places where trauma from leisure activities is more likely to take place i.e. parks, public walking trails, et cetera. When we benevolently place a CAERvest in a new location from the charity’s own funds, we carefully assess the need, practicalities and security of the area. CAERvests can only be used once, but we will always offer to replace one free of charge if the previous vest was used responsibly to help save a life. Interested in applying for a permanent CAERvest from HESE? 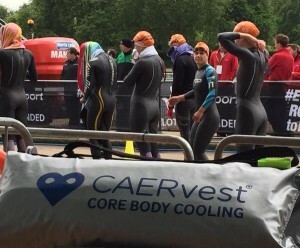 Interested in renting a CAERvest for events?